During a career that spanned the length of America’s colonial rule in the Philippines, Manuel L. Quezon held an unrivaled grasp upon territorial politics that culminated with his service as the commonwealth’s first president. Although he once fought against the United States during its invasion of the islands in the early 1900s, Quezon quickly catapulted himself into a Resident Commissioner seat by the sheer force of his personality and natural political savvy. Young and brilliant, Quezon, according to a political rival, possessed “an ability and persistence rare and creditable to any representative in any parliament in the world.”1 Quezon was wary of immediate independence, but in the U.S. House of Representatives, he worked tirelessly to secure his nation a greater level of autonomy. He met privately with the President and powerful committee chairmen alike, gauging the issues and crafting legislative solutions, which culminated in perhaps his savviest political victory, the Jones Act of 1916. “Considering the time I have been here, the character of the subject, and the influences I had to fight, I feel inclined to say that I am almost surprised that I have secured so much,” he said.2 Long after he left Washington as a Resident Commissioner, he continued to shape the office by choosing and sometimes discarding his successors. Quezon arrived in Washington, DC, in December 1909 wearing a thick fur overcoat to protect him from the early winter chill and took up residence at the Champlain Apartment House, a new building at the corner of 14th and K Streets in Northwest.20 Quezon received House Floor and debate privileges but was not permitted to serve on any committees. As president in the 1930s, Quezon worked to strengthen his authority at home and tried to brace the nation for war as Japan began encroaching on the islands.83 Despite an attempt to bolster his archipelago’s defenses and under pressure from U.S. officials, Quezon and his family fled his home country and set up a government in exile after Japanese forces invaded in early 1942. He lived in Saranac Lake in Upstate New York as his health started to fail. Quezon died on August 1, 1944, succumbing to the long-term effects of his battle with tuberculosis. 1Congressional Record, House, 64th Cong., 1st sess. (1 May 1916): 7158; Congressional Record, House, 65th Cong., 2nd sess. (18 August 1916): 12839. 2Congressional Record, House, 65th Cong., 2nd sess. (18 August 1916): 12839. 3There is some conflicting information surrounding Quezon’s family history. The noted historian Alfred W. McCoy cites a U.S. military intelligence report claiming that Quezon’s biological father was a “Padre” who had an affair with Quezon’s mother which resulted in her getting pregnant with Manuel. Before he was born, Quezon’s mother was forced to get married “thus assuring that [Quezon] would be born in wedlock.” See Alfred W. McCoy, Policing America’s Empire: The United States, the Philippines, and the Rise of the Surveillance State (Madison: The University of Wisconsin Press, 2009): 110. 4Roger Soiset, “Quezon, Manuel Luis,” American National Biography 18 (New York: Oxford University Press, 1999): 28–29; Michael Cullinane, “The Politics of Collaboration in Tayabas Province: The Early Political Career of Manuel Luis Quezon, 1903–1906,” in Reappraising an Empire: New Perspectives on Philippine-American History, ed. Peter W. Stanley (Cambridge, MA: Harvard University Press, 1984): 64–69; Peter W. Stanley, “Quezon, Manuel Luis, (Aug. 19, 1878–Aug. 1, 1944),” Dictionary of American Biography, Supplement Three, 1941–1945 (New York: Charles Scribner’s Sons, 1974): 613–615; Carlos Quirino, Quezon: Paladin of Philippine Freedom (Manila, PI: The Community Publishers, Inc., 1971): 18–23, 41, 48–52, 58. 5Manuel Luis Quezon, The Good Fight (New York: D. Appleton-Century Company, 1946): 88. 6The relationship between Quezon and American officials in the early 1910s is discussed in detail in Cullinane, “The Politics of Collaboration in Tayabas.” The quotation is from Cullinane, “The Politics of Collaboration in Tayabas”: 77. 7According to McCoy, even after Quezon became Resident Commissioner, he continued to spy on Philippine radicals for America’s colonial administrators. McCoy, Policing America’s Empire: 96–97, 109–111, 187–188, quotation on p. 111. 8Quirino, Quezon: Paladin of Philippine Freedom: 66; Quezon, The Good Fight, 92. 9Quirino, Quezon: Paladin of Philippine Freedom: 63–71; Cullinane “The Politics of Collaboration in Tayabas Province”: 73–74; Frank L. Jenista, “Problems of the Colonial Civil Service: An Illustration from the Career of Manuel L. Quezon,” Southeast Asia: An International Quarterly 3, no. 3 (1974): 809–829. 10At the time, the provincial governors were not directly elected. Instead, they were elected by town councilors, who themselves had been popularly elected under restrictive suffrage laws. Quezon’s complicated campaign for governor is discussed in detail in Cullinane, “The Politics of Collaboration in Tayabas Province”: 79–81. 11An exception was the Partido Federal—formed in December 1900, primarily among Manila elites uniting on a platform of peaceful American sovereignty and eventual Philippine statehood. As a formal political party, however, its reach never extended far outside the capital. See Michael Cullinane, Ilustrado Politics: Filipino Elite Responses to American Rule, 1898–1908 (Manila, PI: Ateneo de Manila University Press, 1989): 63–64, 97–98. 12Cullinane, Ilustrado Politics: 251, 256, 274. 13Quirino, Quezon: Paladin of Philippine Freedom: 78. 15Though specific timelines vary, several scholars discuss the development of the Partido Nacionalista and Partido Nacional Progresista in 1906 and 1907. See Peter W. Stanley, A Nation in the Making: The Philippines and the United States, 1899–1921 (Cambridge, MA: Harvard University Press, 1974): 127–129; Cullinane, Illustrado Politics: 286–315; Quirino, Quezon: Paladin of Philippine Freedom: 77–81. 16Quirino, Quezon: Paladin of Philippine Freedom: 85. 17“Quezon for Ocampo’s Seat,” 11 May 1909, Manila Times: 1. 18“Ocampo Much Disappointed,” 22 May 1909, Manila Times: 1; “Ocampo Not Puzzled,” 20 May 1909, Washington Post: 12. 19“Legarda and Quezon Chosen,” 15 May 1909, Manila Times: 1; “Quezon for Ocampo’s Seat”; Congressional Directory, 64th Cong., 1st sess. (Washington, DC: Government Printing Office, 1913): 125. 20Quirino, Quezon: Paladin of Philippine Freedom: 89; Frank H. Golay, Face of Empire: United States–Philippine Relations, 1898–1946 (Manila, PI: Ateneo de Manila University Press, 1998): 165–166. 21Quezon, The Good Fight: 114–115; Felix F. Gabriel, “Manuel L. Quezon As Resident Commissioner, 1909–1916,” Philippine Historical Bulletin (September 1962): 254. 22Stanley Karnow, In Our Image: America’s Empire in the Philippines (New York: Random House, 1990): 241. 23Michael Paul Onorato argues that Quezon opposed complete independence, preferring a permanent political link to the United States. See Michael Paul Onorato, “Quezon and Independence: A Reexamination,” Philippine Studies 37, no. 2 (1989): 221–239. See also Lindley Miller Garrison to Woodrow Wilson, 19 January 1914, in The Papers of Woodrow Wilson, vol. 29, ed. Arthur Link (Princeton, NJ: Princeton University Press, 1979): 147–152. 24Gabriel, “Manuel L. Quezon As Resident Commissioner, 1909–1916”: 254. 25Quoted in Stanley, A Nation in the Making: 170. 27Quirino, Quezon: Paladin of Philippine Freedom: 93–94. 28Gabriel, “Manuel L. Quezon As Resident Commissioner, 1909–1916”: 254. 29Congressional Record, House, 61st Cong., 2nd sess. (10 May 1910): 6312. 31Stanley, A Nation in the Making: 168–169. 32Philippine Assembly, Election of Resident Commissioners to the United States, 2nd Legislature, 1st sess., 1911, Document No. 250—A. 38 (Manila, PI: Bureau of Printing, 1911), https://archive.org/details/aqw4348.0001.001.umich.edu (accessed 10 February 2016). 33Congressional Record, House, 61st Cong., 3rd sess. (6 February 1911): 2022–2024; Public Law 61-376, 36 Stat. 910 (1911). 34Manuel L. Quezon Certificate of Election (endorsed 22 November 1912), Committee on Elections (HR63-AJ1), 63rd Congress, Records of the U.S. House of Representatives, Record Group 233, National Archives and Records Administration, Washington, DC; Philippines National Assembly, Diario de Sesiones de la Asamblea Filipina, Tomo VIII (Manila, PI: Bureau of Printing, 1913): 160–161; Stanley, A Nation in the Making: 181–182. 35Stanley, A Nation in the Making: 157–163. For a more contemporary history of the friar lands, see Charles H. Cunningham, “Origin of the Friar Lands Question in the Philippines,” American Political Science Review 10, no. 3 (August 1916): 465–480. For newspaper coverage of the friar land sales in newspapers, see, for example, “Protest Sale of Friar Lands in Philippines,” 1 January 1912, Christian Science Monitor: 9; “Committee Asks Friars’ Lands Be Sold Off in Lots,” 11 January 1912, Christian Science Monitor: 1; “May ‘Gobble’ Friar Lands,” 9 May 2012, Washington Post: 4; “Would Protect Friar Lands,” 9 May 2012, Baltimore Sun: 11. 36McCoy, Policing America’s Empire: 255–256. 37Congressional Record, House, 62nd Cong., 2nd sess. (1 May 1912): 5698–5703. 38Congressional Record, House, 62nd Cong., 2nd sess. (15 May 1912): 6503–6510. 39McCoy, Policing America’s Empire: 256; Quirino, Quezon: Paladin of Philippine Freedom: 96–97. 40Francis Burton Harrison, The Corner-Stone of Philippine Independence: A Narrative of Seven Years (New York: The Century Co., 1922): 47. 41Stanley, A Nation in the Making: 172; “Committee Head Steals Cline’s Glory as Future Emancipator of Filipinos,” 31 March 1912, Indianapolis Star: B11. 42Stanley, A Nation in the Making: 172–173; “Committee Head Steals Cline’s Glory as Future Emancipator of Filipinos.” On Jones’s illness, see Congressional Record, Appendix, 63rd Cong., 2nd sess. (28 September 1914): 1291. 43Stanley, A Nation in the Making: 173; “To Free Filipinos Eight Years Hence,” 21 March 1912, New York Times: 1; “Filipino Bill In,” 22 March 1912, New York Times: 3; “Nations May Pledge Filipinos Freedom,” 26 March 1912, New York Times: 8. 44Stanley, A Nation in the Making: 174; “Quezon for Independence,” 1 April 1912, New York Tribune: 7. 45Stanley, A Nation in the Making: 179. 48Ibid., 198–201; Harrison, The Corner-Stone of Philippine Independence: 3–4; “Not A Good Philippine Counsellor,” 29 August 1913, New York Tribune: 6. 49Harrison, The Corner-Stone of Philippine Independence: 46–47. See also “Choice of Harrison Forced on Garrison,” 22 August 1913, New York Tribune: 4; “Burton Harrison Confirmed,” 22 August 1913, Baltimore Sun: 2; Stanley, A Nation in the Making: 198–200. 50Stanley, A Nation in the Making: 212–213. 51Garrison to Wilson, 19 January 1914, in The Papers of Woodrow Wilson, vol. 29: 147–152. See also Stanley, A Nation in the Making: 213–214, quotation on p. 213. The President also met with Chairman Jones to discuss the situation in February that year. See “Wilson Takes Up Philippines,” 12 February 1914, Baltimore Sun: 2. 52Stanley, A Nation in the Making: 213–215; Garrison to Wilson, 19 January 1914, in The Papers of Woodrow Wilson, vol. 29: 149; “ ‘Watchful Waiting,’ His Policy,” 12 February 1914, Washington Post: 3; “Philippine Bill Offers Independence,” 4 June 1914, Christian Science Monitor: 7; “Early Independence of Philippines Urged,” 21 August 1914, Indianapolis Star: 16; “Step to Free Islands,” 21 August 1914, Washington Post: 3. 53“To Give Filipinos Self-Government,” 4 June 1914, New York Times: 5; “Philippines Must Wait For Freedom,” 5 June 1914, New York Tribune: 4; “A New Philippines Plan,” 5 June 1914, New York Times: 10. 54Stanley, A Nation in the Making: 215, 220; “To Free Filipinos,” 4 June 1914, Los Angeles Times: I1; “New Wilson Bill To Free Filipinos,” 4 June 1914, New York Tribune: 1. 55Congressional Record, House, 63rd Cong., 2nd sess. (28 September 1914): 15843; Congressional Record, House, 63rd Cong., 2nd sess. (2 October 1914): 16079. 56Congressional Record, House, 63rd Cong., 2nd sess. (26 September 1914): 15800–15812, quotation on p. 15806. 57Congressional Record, House, 63rd Cong., 2nd sess. (28 September 1914): 15838, 15845. 58Congressional Record, Appendix, 63rd Cong., 2nd sess. (28 September 1914): 1290–1291; Congressional Record, House, 63rd Cong., 2nd sess. (1 October 1914): 16022. 59Congressional Record, House, 63rd Cong., 2nd sess. (1 October 1914): 16015–16016. 62Congressional Record, House, 63rd Cong., 2nd sess. (3 October 1914): 16137–16138; Congressional Record, House, 63rd Cong., 2nd sess. (6 October 1914): 16217, 16234; Congressional Record, House, 63rd Cong., 2nd sess. (9 October 1914): 16383. 63Stanley, A Nation in the Making: 219. 64Senate Committee on the Philippines, Future Political Status of the People of the Philippine Islands, 64th Cong., 1st sess., S. Rept. 18 (17 December 1915): 1. 65Hearings before the Senate Committee on the Philippines, S. 381: Government of the Philippines, 64th Cong., 1st sess. (17 December 1915): 71. 66Future Political Status of the People of the Philippine Islands: 3. 67Stanley, A Nation in the Making: 221; House Committee on Insular Affairs, Political Status of the Philippine Islands, 64th Cong., 1st sess., H. Rept. 499 (6 April 1916): 1. 68Stanley, A Nation in the Making: 223. 70“Will Keep Philippines,” 2 May 1916, Washington Post: 1; Congressional Record, House, 64th Cong., 1st sess. (1 May 1916): 7144–7214; “No Independence for Philippines,” 2 May 1916, Atlanta Constitution: 2. 71Congressional Record, Appendix, 64th Cong., 1st sess. (1 May 1916): 2225. 74“Senators Yield on Philippines,” 9 May 1916, New York Tribune: 6. 75Senate Hedges on Philippines,” 17 August 1916, New York Tribune: 2. 76“See Filipinos Free by 1921,” 26 August 1916, New York Tribune: 4. 77Congressional Record, House, 64th Cong., 2nd sess. (2 January 1917): 748. 78Quirino, Quezon: Paladin of Philippine Freedom: 114–118. 81See Bernadita Reyes Churchill, The Philippine Independence Missions to the United States, 1919–1934 (Manila, PI: National Historical Institute, 1983). 82Eugenio S. De Garcia, “The Man Quintin Paredes,” 5 September 1934, Philippines Herald Mid-Week Magazine: 3; “Osias Will Return to D.C. Tomorrow,” 22 December 1933, Washington Post: 12; “Filipinos Reappoint Guevara, Drop Osias,” 21 August 1934, Christian Science Monitor: 5. 83For more on Quezon’s time and his power as president, see Alfred W. McCoy, “Quezon’s Commonwealth: The Emergence of Philippine Authoritarianism,” in Philippine Colonial Democracy, ed. Ruby R. Paredes (Quezon City, PI: Ateneo de Manila University Press, 1988): 114–160; Theodore Friend, Between Two Empires: The Ordeal of the Philippines, 1929–1946 (New Haven, CT: Yale University Press, 1965): 151–195. 84“Quezon Rites Tomorrow,” 3 August 1944, New York Times: 19; “High Dignitaries of State to Attend Quezon Rites Today,” 4 August 1944, Washington Post: 9; “Arlington Burial, Tribute to Quezon,” 5 August 1944, New York Times: 11; “Quezon to Rest at Arlington Until Philippines Are Freed,” 5 August 1944, Washington Post: 2. 85“Family of Late Filipino Chief in Southland,” 4 November 1944, Los Angeles Times: 3; “Quezon’s Body Starts for Manila Tuesday,” 29 June 1946, New York Times: 19. 86“New Capitol in Manila,” 30 December 1946, New York Times: 3. Microfilm: 1909-1944, 54 microfilm reels. The papers of Manuel Luis Quezon contain correspondence, speeches, articles, and other papers relating to all phases of his career in the Philippines. Papers: 1913, 1 page. A letter from Manuel Luis Quezon to The Librarian, University of Michigan Library [i.e. T. W. Koch]. In the letter, Manuel Quezon writes concerning a provision of a subscription to his publication, The Filipino People, and the gift of two books, for the library. Papers: In the Anti-Imperialist League Papers, 1903-1922, 597 items and 5 volumes. Other authors include Manuel Luis Quezon. An unpublished finding aid is available in the library. Papers: In the Eleanor M. Bumgardner Papers, 1919-1967, 8.2 linear feet and 9 volumes. Other authors include Manuel Luis Quezon. A finding aid is available in the library. Papers: In the Joseph Ralston Hayden Papers, 1854-1948, 56 linear feet and 1 oversize folder. Correspondents include Manuel L. Quezon. A finding aid is available in the repository and online. Papers: In the Harry Burns Hutchins Papers, 1879-1930, 22 linear feet. Other authors include Manuel Luis Quezon. A finding aid is available in the repository and online. Papers: In the Frederic S. Marquardt Papers, 1920-1981, 1 linear foot. Correspondents include Manuel Quezon. Papers: In the Frank W. Carpenter Papers, ca. 1884-1938, 0.3 linear foot. Correspondents include Manuel Luis Quezon. Papers: In the Oscar Terry Crosby Papers, ca. 1878-1947, 3.6 linear feet. Correspondents include Manuel Luis Quezon. A finding aid is available in the library. Papers: In the Burton Norvell Harrison Family Papers, 1812-1926, 22 linear feet. Correspondents include Manuel Quezon. A finding aid is available in the library. Papers: In the Miscellaneous Manuscripts Collection, 1942, 2 letters. Letters of Manuel Luis Quezon, 1942. Papers: In the Theodore Roosevelt Papers, ca. 1780-1962, 33 linear feet. Correspondents include Manuel Quezon. A finding aid is available in the library. Papers: In the Francis Bowes Sayre Papers, ca. 1861-1961, 8,100 items. Correspondents include Manuel Quezon. A register is available in the library. Papers: In the William Howard Taft papers, ca. 1784-1973, 676,000 items ; 1,562 containers plus 8 oversize ; 902.5 linear feet ; 658 microfilm reels. Correspondents include Manuel Quezon. Papers: In the Woodrow Wilson papers, ca. 1786-1957, 278,700 items ; 1,160 containers plus 35 oversize ; 459 linear feet ; 542 microfilm reels. Correspondents include Manuel Quezon. Papers: In the George F. Parker Papers, 1919-1926, 0.6 linear foot. Other authors include Manuel Luis Quezon. A finding aid is available in the repository. Caballero, Beljun. Rebirth of a Nation and Its Most Phenomenal Statesman Quezon. Manila: Bacani's Press, 2006. Enosawa, Hisashi. Manuel L. Quezon, from Nipa house to Malacanan. Tokyo: Japan Publicity Agency, 1940. Goettel, Elinor. 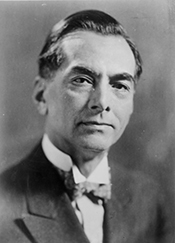 Eagle of the Philippines: President Manuel Quezon. New York: J. Messner, 1970. Gwekoh, Sol H. Manuel L. Quezon: His Life and Career; A Philippine President Biography. Manila: University Publishing Company, 1948. ___. Quezon the President. Manila: Apo Book Company, 1938. "Manuel L. Quezon" in Asian and Pacific Islander Americans in Congress, 1900-2017. Prepared under the direction of the Committee on House Administration by the Office of the Historian and the Office of the Clerk, U.S. House of Representatives. Washington: Government Publishing Office, 2018. National Library [Philippines]. Filipiniana Division. Manuel L. Quezon: A Register of His Papers in the National Library. Manila: N.p., 1968. Philippines. Bureau of Public Libraries. Manuel L. Quezon: A Register of his papers in the National Library. Manila: N.p., 1968. Quezon, Manuel L. Addresses of Manuel L. Quezon, Resident Commissioner; Henderson S. Martin, Chairman of the Board of Regents; Ignacio Villamor, President of the University of the Philippines: Delivered at the Inaugural Ceremonies Held in the Auditorium of the Philippine Normal School, Taft Avenue, Ermita, Manila, P.I., Thursday, August 12, 1915. Manila: Bureau of Printing, 1915. ___. Address of the President of the Commonwealth of the Philippines, Manuel L. Quezon. Washington: Press of B. S. Adams, 1942 [?]. ___. The Good Fight. Introduction by Douglas MacArthur. 1946. Reprint, New York: AMS Press, 1974. Quezon, Manuel L., and Camilo Osias. Governor-General Wood and the Filipino Cause. Manila: Manila Book Company, 1924. Quirino, Carlos. Quezon, Man of Destiny. Manila: McCullough Printing Company, 1935. ___. Quezon: Paladin of Philippine Freedom. With an introduction by Alejandro R. Roces. Manila: Filipiniana Book Guild, 1971. ___. Quezon: Paladin of Philippine Freedom. With an introduction by Alejandro R. Roces. Manila: Printed by Community Publishers, 1971. Rivera, Juan F., ed. Quezon: Thoughts and Anecdotes About Him and His Fights. Quezon City [? ]: J. Rivera, 1979. Rodriguez, Eulogio Balan, ed. President Quezon: His Biographical Sketch, Messages and Speeches. Manila: Publishers Incorporated, 1940.